Every angler-novice very soon, immediately after the purchase of gear, the problem arises how to correctly tie the main fishing line leash. And ability is very important. 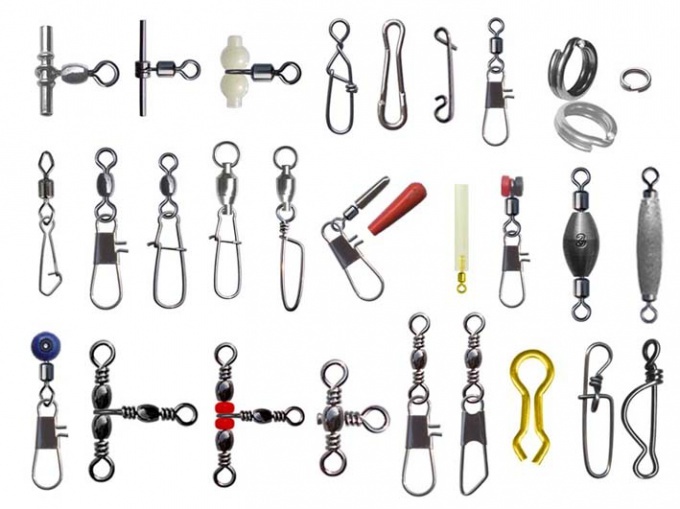 For fastening leashes to the main fishing line is convenient to use different kinds of carabiners and swivels (see figure "Carabiners and swivels"). Knot loop in the loop is a simple and fairly durable knot to connect fishing line with leaders or lures. 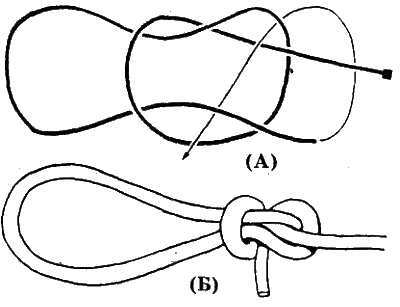 Tie a loop on the end of the line and the leash, you can use the node "g", a "perfect loop" or "blood loop". If at the end of the leash already attached swivel, then use it free "eye" as a loop for connection with the main line. By the way, the swivel to the leash can be tied the same way. "The perfect loop" fit in the following way. First tie a normal knot, but do not tighten it. 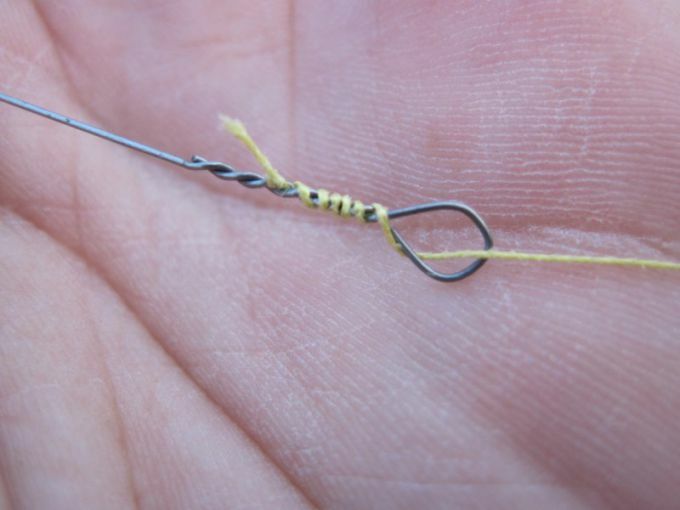 Then threading back through the loop knot the end of the line and formed from the end of the loop. 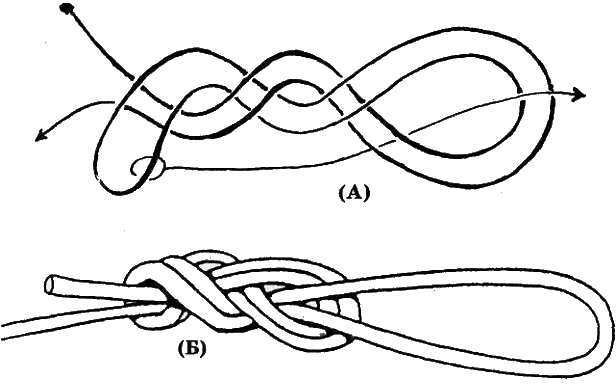 Start it under the other end and again threaded through the loop knot so that when tightening the knot this end was clamped (see figure "the Perfect loop"). "Bloody loop." The line folded in half. Fold in half again and form a small loop. Wrap the doubled end of the line a couple of times around the main line and put it in a loop, as shown in figure "a Bloody loop." Tighten the knot. Snap with side leash. You can "make" a leash directly from the main line. For this, the fishing line make a loop, directly in the planned installation location of the leash. Loop should be of sufficient size, in order to form from it a leash. 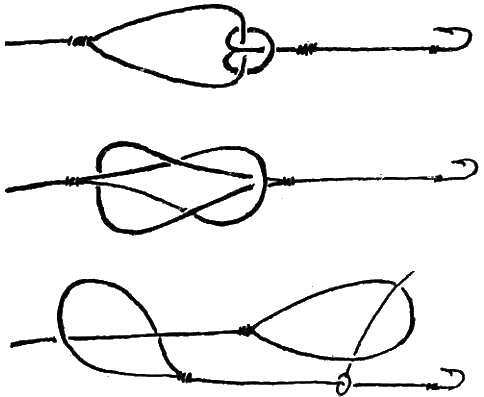 Then the fishing line is twisted, as shown in the figure. In the formed loop is passed the first loop. Pulling both end of the line tighten the knot. Carefully cut the loop closer to the base. The leash ready. Using bezuslovnogo connector Knot'A Not. Any knot is a weak spot on the line. This method does not have this drawback. But it's more woven than monofilament lines. Threading the loop of the leash or swivel eyelet into the eyelet of the connector. 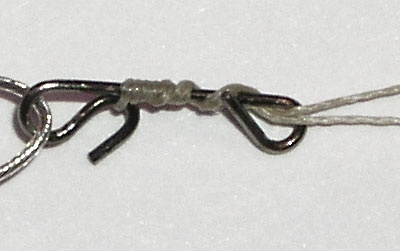 Sazalee loop of fishing line for the Cirrus connector. Do 5-7 turns in the direction of the second tendril around the body of the connector. Start the loop of the second antenna. Leave a free piece of fishing line, a length of 2-3 cm — this will add reliability to the mount. The photo shows the result.